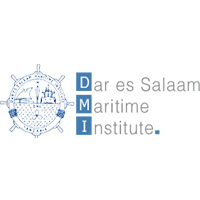 Dar es Salaam Maritime Institute (DMI) was established by Act of Parliament No. 22 of 1991 to cater for greater needs of Shipping Industry in the region. The Institute (DMI) originated from what was known as Dar es Salaam Maritime Training Unit (DMTU) which was established on the 3rd July 1978 as a training wing of Tanzania Coastal Shipping Line (TACOSHILI) to fulfill the need of well-trained seafarers. DMI is the Centre of Excellence in Maritime Education and Training in the East African region. The Centre has qualified personnel and provides quality education which suits market needs in the aspect of being employed and self-employment in maritime industry. DMI offers programmes accredited by NACTE (NTA Level 4-8), SUMATRA (Certificate of Competency-CoC), CILT (Logistics & Transport) and ABMA (Shipping and Logistics). 1.01 POSITION: Tutorial Assistant - Marine Engineering – (2 Posts). i) To teach up to NTA level 6.
ii) To assist in conducting tutorial and practical exercises for students under close supervision. iii) To prepare learning resources for tutorial exercise. iv) To assist in conducting research under close supervision. vi) To perform any other duties that may be assigned by the head of the relevant department. xii. A signed application letters should be written either in Swahili or English and Addressed to the following address Secretary, Presidents Office, Public Service Recruitment Secretariat, 27 Bibi Titi Mohammed Road, P.O. Box 63100, Maktaba Complex, 11102 Dar Es Salaam.